The ESO moved the function to the very top of its 10-strong list of priorities while new entrants – Digital transformation and the Whole Energy System – entered at fifth and sixth respectively for the 2019/20 year ahead. The system operator late last week published its innovation strategyfor the forthcoming year, unveiled as one of a number of documents released last week as the country’s ESO detailed its direction of travel. In a league table of priorities, National Grid ESO has moved system stability to the very top, citing a combination of issues surrounding inertia, voltage management and the need to enable more non-synchronous generation on the grid. In order to achieve its aims, the ESO has said it must identify new ways of enhancing system stability and support the “safe and efficient” operation of the country’s electricity system amidst an evolution in power generation. As more non-synchronous (i.e. intermittent, distributed generation) comes on-stream, system frequency changes are happening quicker than before, affecting the levels of inertia and voltage variances on the system. This is making it more difficult for the two types of generation to co-exist, requiring a more hands-on operation. A prime example of this occurred late last month, when an “unprecedented” series of events led to the UK wholesale price dipping into negative pricing for six straight hours, an occurrence which research and analysis firm Cornwall Insight said was likely to become more common over the next 15 years as intermittent generation grew. New additions to the priority list were identified as the digital transformation and whole energy system challenges, which the ESO has raised previously. The digital transformation occurring within grids and the electricity system in general is creating a significant increase in the amount of data available as the number of market entrants and generators soars, enough to render legacy systems unable to cope. National Grid has stressed there to be a need to harness this new level of data, while simultaneously test the application of emerging technologies such as artificial intelligence, machine learning, cloud computing and blockchain to extract and share new insights. In addition, the ESO has referenced the need for heightened security and data resilience within the network, required as a result of its status as a Critical National Infrastructure. National Grid has also once again stressed the need to investigate the ongoing electrification of heat and transport, and how the gas and power systems can collaborate as both markets change. 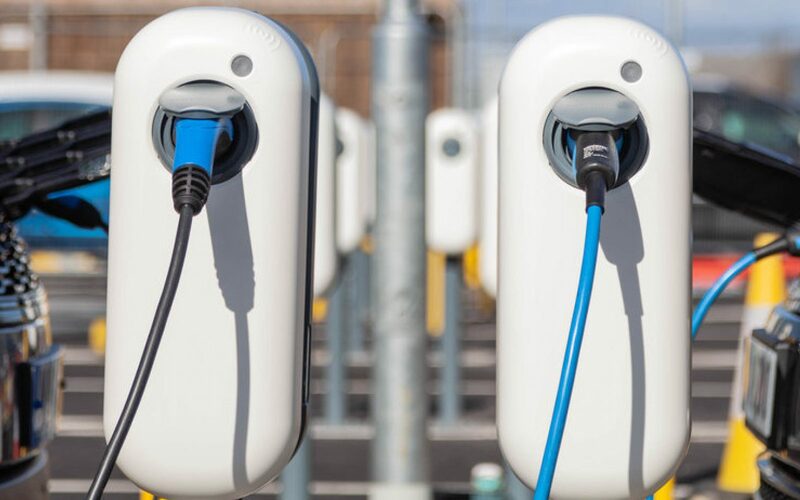 In a foreword Kayte O’Neill, head of strategy and regulation at National Grid System Operator, said the last 12 months had seen Great Britain make further advancements with decarbonisation and digitisation. 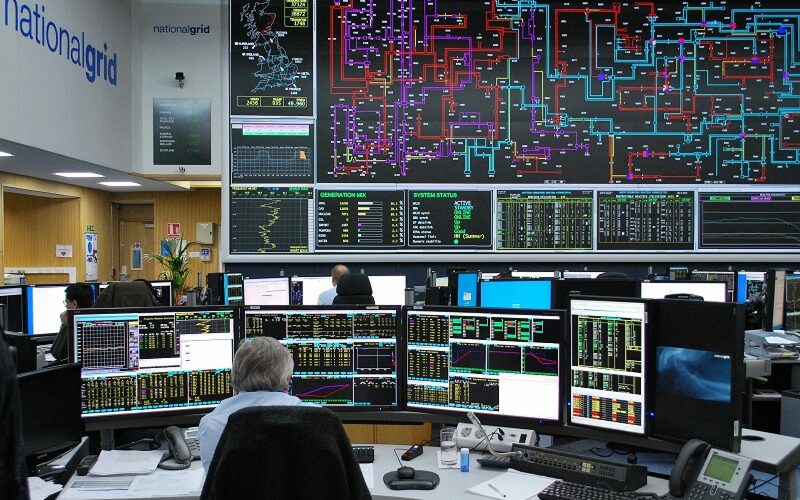 “The System Operator is evolving to keep up with this rapid change… We have responded to rapid decentralisation and decarbonisation in many ways, including introducing a dedicated distributed energy resource desk into our electricity control room and by taking a leading role in the discussion of decarbonisation of gas. “To achieve these key transformations, we must innovate together as an industry. At the heart of the energy system, the System Operator is in a unique position to drive many of the changes needed to deliver the future vision we all share. Renewable energy is rightly growing in popularity. According to data from the Department for Business, Energy and Industrial Strategy (BEIS), bioenergy, wind, solar and hydro accounted for 27.5% of all energy supplied in the UK in 2018, up from 23.5% in 2017. The Solar Trade Association also reports that the UK now has more than 1 million solar homes, counting both solar and solar thermal. 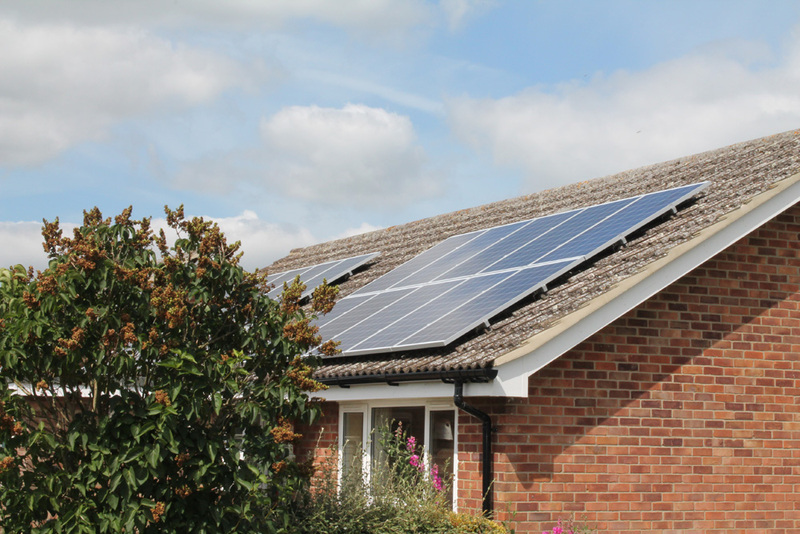 While statistics from the Department of Energy and Climate Change (DECC) show there are now 800,000 UK homes with photovoltaic (PV) panels. If you’re considering installing solar, either at home or on your commercial premises, it’s important to do your homework. Which is why, in this post, we answer questions about solar battery technology, so you understand how solar batteries work in conjunction with solar panels and government incentives for exporting power to the grid. What Are Solar Batteries Used For? Solar batteries are used to store energy generated by PV panels. The stored power is usable when the panels are operating under capacity, such as on cloudy days when they operate at under 25%, or when they’re not generating electricity at all, during night time, for instance. Think of it in the context of a regular weekday. Imagine it’s a sunny day and you’re at work from 9am to 5pm. Because you’re in the office, you’re not home at 12 noon, when the sun is at its strongest and your PV panels are most effective. Therefore, you can’t use that solar energy straight away. A solar battery stores that energy created at peak sun-hours for later. This means you’ll have renewable energy to use when you get home later in the day, and can use household appliances as usual. Essentially, storage batteries mean you can nearly always rely on renewable energy. How Is Solar Energy Stored In Batteries? Solar energy is stored in solar batteries as direct current (DC) electricity, after being generated from direct sunlight by PV panels. A built-in converter then turns the DC electricity into alternating current (AC) electricity, which is usable for powering devices and appliances. How Long Will A Fully-Charged Solar Battery Last? It depends on the battery model and what you are using the power for. But in many cases, solar batteries generate around 10 to 12 hours of energy, which is enough to use on winter’s nights, or on cloudy days when PV panels aren’t operating to full capacity. The average UK household uses between 13 to 14 kWh of electricity per day (5,000 kWh per year), mainly in the morning and evening. Solar batteries range in capacity; from 1.2 kWh to 16 kWh, so calculate your household energy usage, or ask an energy expert for an estimation and advice. As a rule of thumb, the more household appliances you use, the bigger you will want your solar battery capacity to be. Your decision will also depend on battery cost, as there are plenty of different price options available, meaning there will be a battery to suit your requirements. Warranties are available, but they vary. Some manufactures guarantee unlimited charges, and some offering a certain number of charges, whether that’s three or ten thousand. Some manufacturers offer a guaranteed power range – often between 7,200 kWh to 80,000 kWh – over time. In addition to capacity, the makeup of the solar battery is important too. Lead acid, while being the cheaper option, doesn’t last as long as lithium ion. Lithium ion is now seen as the go-to material, due to its lifespan. Saltwater electrolyte batteries are available, but remain relatively untested. How Do Solar Batteries Feed Into The Grid? Solar batteries have a dual purpose if you are connected to the grid. Firstly, being able to export unused power to the grid when you don’t need it. Secondly, being able to import electricity into your property from the grid itself, when the combination of your PV panels and solar battery isn’t generating enough electricity. You may have heard of the feed-in tariff (FiT), whereby small-scale renewable generators, such as homes or small businesses, were paid for green electricity exported to the grid. FiT has now ended, however, with a new system set to be implemented in 2019 following a the results of a now-closed consultation: the future for small-scale low-carbon generation. Can You Use A Solar Battery To Go Off-Grid? Yes. Although PV panels in isolation aren’t enough. That’s because cloudy days (and we get plenty of them in the UK!) might not always provide you with enough sunlight to turn into power. A solar battery, however, could help you store enough energy to go completely off-grid. Although whether this is viable or not depends on both your household energy usage, and the solar battery model you choose. Generating your own green power by going completely off-grid is an admirable goal. Energy experts will help you assess both the technology installations and lifestyle changes required to make it happen. Do Solar Batteries Work During A Power Cut? Yes. In the same way solar batteries store power that’s usable when PV panels aren’t at full capacity, batteries store backup power that’s usable during a power cut. This means you’ll carry on as normal, while properties around you without the same technology are plunged into complete darkness. The battery stores the energy and you can use it whenever — and however — you wish to. 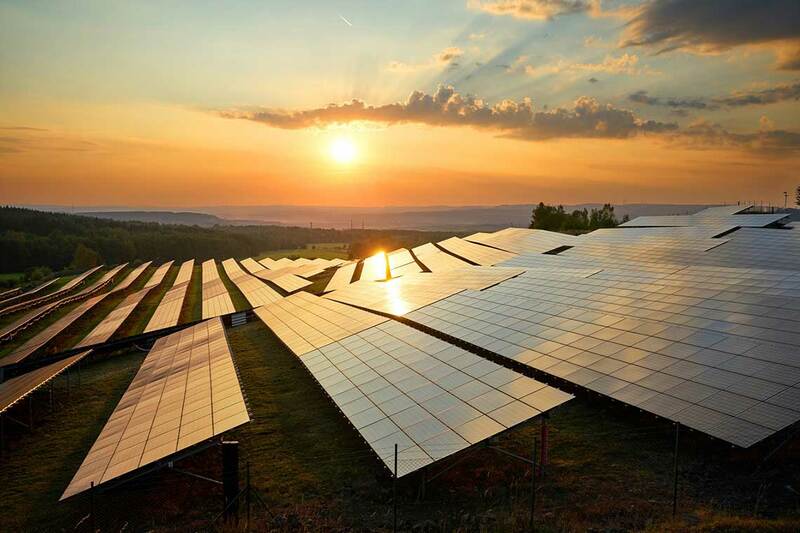 Speaking to Current±, Vera Silva, CTO at General Electric’s Grid Solutions arm, said that while software solutions had been pivotal in facilitating the proliferation of renewables to date, claiming that “the road that took us here might not take us there”. “Until now, in countries that have high renewables, quite a lot of improvement has been done using better software and implementing grid automation and controls. “That has squeezed more capacity and allowed grids to operate closer to real time. That’s the first transition we’ve seen. “[But] then there’s a next stage. You need to invest in infrastructure, at some stage just investing in software is not enough,” she said. Silva pointed towards the UK and Ireland as being particularly prescient examples of markets where high penetration of renewables has forced network operators into action. 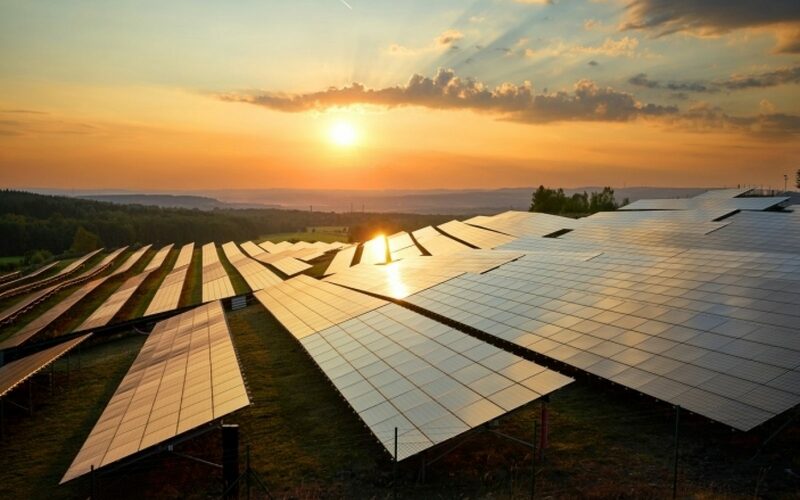 The UK in particular has seen the number of generators soar from 90 to more than a million, driven by rocketing numbers of domestic solar installations and other small-scale renewables, with energy storage cited as the next technology to deploy at scale. While this has created significant technical challenges by changing the physical properties of systems – inertia for one is radically reducing – that explosion in technology at the grid-edge has provided operators with a “huge opportunity” to bolster their management capabilities. This is occurring firstly through more efficient management systems and then through new technologies. “First you try to do everything you can with digital, but at the same time you install equipment,” Silva said. The goal, she added, was to transition from reactive management, through to predictive and then finally end up in an autonomous management function. It’s official; every new build property from 2025 will be banned from installing Gas powered heating systems. MP Philip Hammond has pointed towards Heat Pumps and ‘world leading insulation’ as the solution to fill the gap left by Gas systems and, as you can imagine, Freedom Heat Pumps are over the moon. So why has Philip Hammond pointed to this technology? And what was the catalyst that finally led to a deadline for Gas systems? The answer here is simple; they are the greenest way of providing heating for your home. An Air Source Heat Pump literally uses fresh air and inverts it to make heat for your home. When coupled with well insulated and designed properties it provides the most cost-efficient and green energy solution available. Why the deadline for Gas Systems? Pressure has been building on the government to act quickly for climate change. Recently children have been protesting, Greenpeace have added further pressure by releasing several petitions and highlighting “Issues like the shoddy state of our existing housing stock.” Mel Evans, Greenpeace. All in all climate change, together with the use of single-use plastics has monopolised the green agenda for a number of groups including Greenpeace. If you would like more information on how you can become an Infinity Air Source Heat Pump customer or anything to do with our green technology, the Renewable Heat Incentive or our bespoke Heat Loss Calculator then please contact us. When it comes to environmental health and doing our bit to help Planet Earth, we’re more educated than we’ve ever been before. Not a week goes by without a headline about global warming, or an article about some emerging renewable technology that might save the planet we live on. It’s the same with fossil fuels. We know that they’re dangerous, and yet they’re still the conventional means of generating energy for our homes and businesses. We know they’re dangerous. We also know that fossil fuels are a depleting resource. One day, we’ll have none left. But when? Will it be in the not-too-distant-future, or will it be way beyond our time? We went in search of the most definitive answers possible. Before we get into it, let’s have a quick look at the current energy landscape. Being part of the renewable movement, we think that D-Day cannot come soon enough. The sooner fossil fuels run out, the better. However, this is the staunch environmentalists in us talking. The eco-warriors. There’s a bigger picture to consider: the simple expiry of fossil fuels is not sustainable because the fact remains that we absolutely depend on them. At the moment. Worldwide demand is high and rising: only last year, the Energy and CO2 Status Report showed that demand for energy worldwide rose by 2.1%. This has more than doubled since the last report in 2016! So, demand for fossil fuels continues to grow, and that demand is met by oil, coal, and natural gas. In fact, figures from 2017 show that 70% of the growth of global demand was catered for by the same fossil fuel resources. Fortunately, renewable energy isn’t too far behind. Stats from the same Status Report show that renewables experienced the highest growth of all energy sources last year, with China and the United States leading a rate of growth never before seen for renewables. So, that’s something! But when will fossil fuels end? Now we’ve got an idea of the playing field, let’s get down it. It’s a difficult question. Although fossil fuels have been around for millions of years, we’ve only been using them for around two centuries. In that relatively short space of time, though, we’ve consumed a massive amount and it continues unabated. So, if we continue at our current rate, it is estimated that all of our fossil fuels will be depleted by 2060. If we keep on mining the earth in such a damaging way, we might find new reserves that will push that date back. Of course, we don’t want that to happen. The expiry date differs with each resource, so now we’re going to look at each fuel-group separately. This is unique. It’s estimated that known oil-deposits will run out by 2052. Realistically, we may never run out of oil because, given the depth of the Earth’s core, there will be new wells to discover. That said, it’s highly likely that the practice of mining such depths will become economically unviable. Prices for fuel will rise – as they have always done – and ultimately we will look for alternative, cheaper means of producing energy. The price of oil will increase due to heightened labour costs, while the supply itself will wane. This will have a knock-on effect, whereby homeowners will realise that renewables are far cheaper than fossil fuels. We are hurtling towards this scenario. According to the Oil Market Report, which was commissioned by the International Energy Agency, demand has slowed in the last quarter after a significant uptick throughout 2016 and 2017. This means that it’s due another surge, and this should be even higher than previous years. And let’s also remember that the worldwide transport industry is driven (no pun intended) solely by oil, which means that it’s being consumed at a far quicker rate than other fossil fuels. According to the World Coal Association, there are an estimated 1.1 trillion tonnes of coal reserves across the world. At our current rates of production and consumption, there is enough coal to last us 150 years. By around 2168, coal will be no more (unless we discover new deposits which push that date back). It all relies on the rate of demand, which, for coal, grew considerably last year. Construction and industry are responsible for 80% of the rise in global demand, and China accounted for a third of its growth in 2017. Coal is by far the most polluting fossil fuel still in production. According to the Union of Concerned Scientists (UCS), this dirty resource is the culprit for some of our worst environmental crimes. The good news is that we’re turning our backs on it, slowly: just last year, the UK spent three days without coal power – the first time we’ve gone without coal since the 19th century. When will we run out of gas? According to BP’s Statistical Review of World Energy 2018, we have 193.5 trillion cubic metres of gas left, which will last anywhere between 90 and 120 years. The number will always vary: as we’ve seen already, it depends on the annual rate of consumption, which has risen steadily from a relative low of 3 trillion cubic metres to more than 3.5 trillion (BP Statistical Review). There you have it. We’ve given you the best answers we could find. Although the depletion of fossil fuels won’t likely happen in our lifetime, it may well happen in your children’s or grandchildren’s lifetimes.